This summer I had the incredible opportunity to work for Delicious Israel, a specialized culinary tour company. 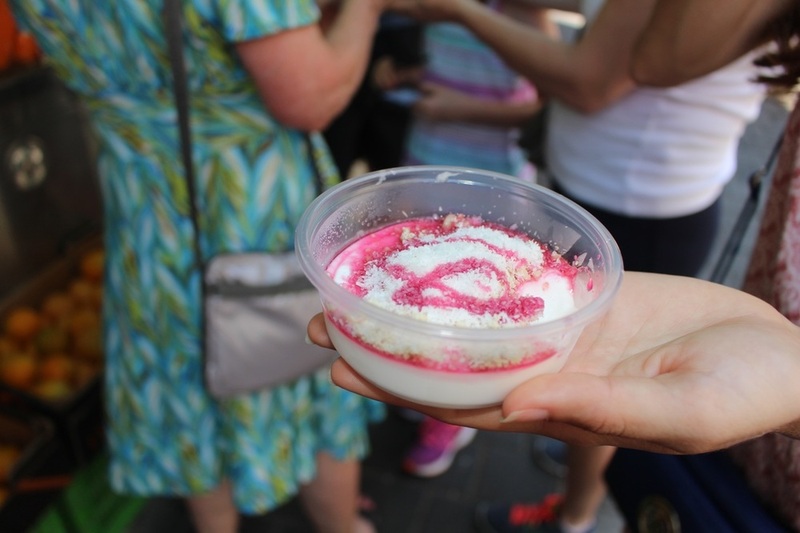 Creator and guide, Inbal Baum, makes tourists feel like locals by taking them to "off the beaten path" secret hot spots in markets they would have never known about, making sure all traveling foodies and culture-seekers experience authentic Israeli cuisine. I had the absolute best summer in Tel Aviv, thanks to Inbal and my co-workers, and met so many unique people along the way. The Levinsky Market tour is my personal favorite because of the strong history and personality each vendor has to offer. Shuk Levinsky has tastes from all around the world. 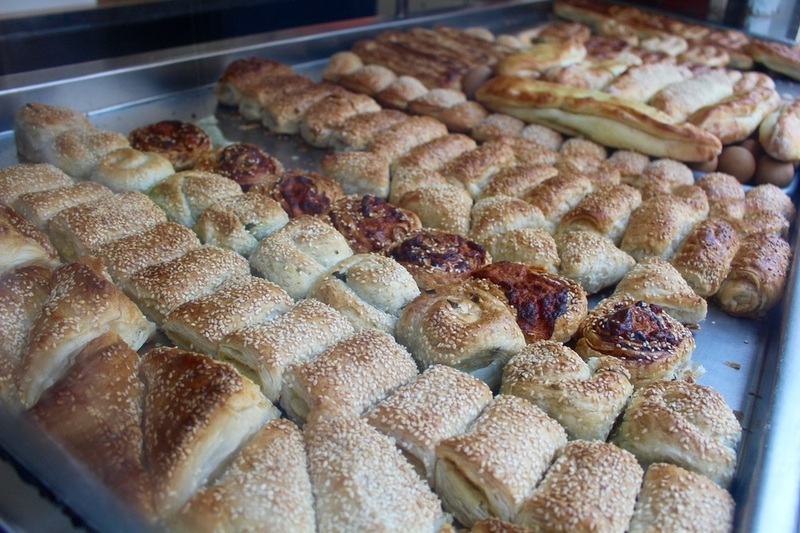 Here you can find everything from Turkish burekas to Polish herring to Syrian cured olives. However, the most meaningful aspect to this tour is that almost all of these shops have been family-owned for several decades. You can feel (and taste) the passion and love in each bite. What are my favorite stops on this tour? Yom Tov Deli: At this family-owned shop for over 40 years we taste an antipasti plate with Turkish cheeses, olives, roasted garlic, pepper and homemade grape leaves that is made by the family's 93 year-old grandfather. I enjoyed speaking with Eitan- he told me his grandfather made aliyah to Israel in 1969 and ended up meeting his wife in the Levisnky market. Penso Burekas: This bakery specializes in burekas, the savory filled pastries made out of flaky phyllo dough. The Penso family opened up this third generation shop in 1965 and have attracted many people, even celebrities, by their unforgettable burekas. Cafe Levinsky 41: Here, Benny Briga concocts a drink called Gazoz, a soft-drink made with fruit preserves, herbs, chia seeds, seltzer water etc. You don't order anything, Benny makes you whatever he feels like. Whether it be apricot, plum or mango, you won't be disappointed.